Parenting isn’t just a responsibility—it’s the opportunity to build a bond with your baby that will last a lifetime. As you see the efforts of your care helping baby engage and trust in you, your confidence will increase and strengthen your bond. There is no greater joy than becoming a parent. When you first hold your baby in your arms and look into their face, it seems the whole world stands perfectly and wonderfully still. Your excitement at becoming a parent often matches the realization of its awesome responsibility. You may wonder where to start, and one incredible developmental answer to that is “in the moment.” Parenting isn’t a once-and-done experience; rather it’s a compilation of millions of minutes through the lifetime of your child. Making moments matter includes viewing some of the more routine parenting tasks as opportunities to build a loving relationship. Transform tasks like diapering from a hurry-to-be-done duty to a moment and activity that is close, care-infused and engaging for both you and baby. So much is written about the importance of bonding, or the attachment that forms between you and your children. It often begins before birth—before you ever meet your baby face to face. It’s not miraculous that your baby recognizes your voice, your scent and remembers your heartbeat at birth—you began this relationship many months ago. As you hold your baby skin-to-skin at birth, those bonds that were formed when baby was in your womb are only strengthened. Physical and emotional closeness has proven health benefits for you and your baby. 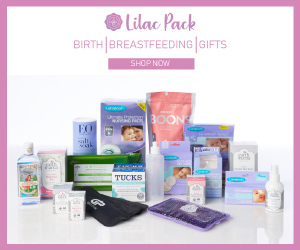 Those first weeks with baby are ripe with opportunity for closeness, especially during breastfeeding, skin-to-skin care, cuddling and the ongoing hands on care you give baby, such as during a bath or in diapering. 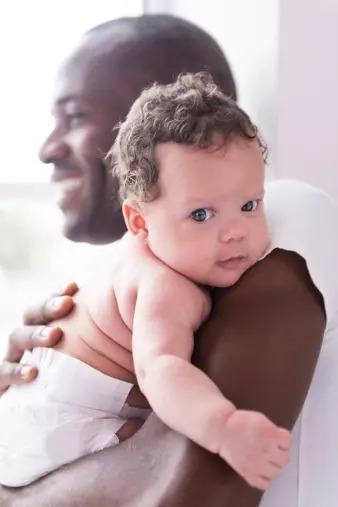 Each of these opportunities can enhance baby’s health and growth as you take a moment to engage, look into baby’s eyes, sing or hum, and watch your baby to learn how they respond to your touch, warm skin and gentle care. We all thrive on routines; babies too. For you little one, this can include daily events such as nursing, diapering, playing and sleeping. Some families have weekly routines that may include scheduled time for grocery shopping or attending a place of worship. Routines give us a sense of organization and empowerment yet we all likely know someone who prefers flexibility over routine. For babies, however, research confirms that routines are essential to their growth and development, helps babies begin to develop self-nurturing and control, and minimize stress for babies. Diapering is an excellent time to establish a routine break from household chores or the other pressures of everyday life to connect and enjoy a few minutes with your baby. As you and baby establish a diapering routine, your confidence in caring for your little one, giving you a sense of accomplishment—hey, that is always a good feeling! The emotional closeness between you and baby is maximized as you make the most of your time with your little one by intentionally engaging with them. Involve all your baby’s senses during diapering (see Baby’s Senses, Activate!). During awake times for baby, engage by activating their brain while you both have fun together is a great idea—make silly faces, funny noises and talk or sing to baby. When it’s time for sleep, use a different diapering routine that cues your baby it’s time to calm and prepare for rest—not play. As your baby grows from a newborn to a toddler, add more games and ideas to this playful routine and consider reading or humming softly to baby as he drifts to sleep. Providing predictable, tender loving care during diapering creates a positive environment for your baby. Research shows that loving care given in an organized, safe way promotes brain development and protects your baby’s emotional and social well-being. As you get to know your baby, you’ll come to recognize the opportunities to support their growth and share happy moments as one of life’s greatest blessings. Encourage other members of your family and friends who may care for baby to adopt a mindful and intentional way of interacting with your baby; they’ll feel rewarded knowing their extra efforts are not only good for their own health but baby’s too! One habit that never gets old is beginning and ending your diapering routine with a loving hug. It can be short and sweet or longer and more relaxed, including skin-to-skin time. Many moms say that the simple act of holding their little ones skin-to-skin helps a baby go from crying to calm in no time. When your baby can inhale your scent and feel the warmth of your body, they are quickly comforted. Infant massage is another option you can integrate into the diapering routine. Benefits include increased bonding and relaxation and reduced crying. You’ll want to pay attention to your baby’s mood before beginning. You may opt for a brief massage during regular diapering and a more extended session in the evening as part of a sleep time ritual. Every baby is different, so experiment with your schedule and your baby’s likes and dislikes as you aim to bring comfort and contentment into your diapering routine. Diapering gives you an excellent opportunity to delight in your baby’s unique mannerisms and features. Babies are born nearsighted and have the best visual focus from about 8–12 inches away. They love looking at faces, especially their parents! As baby gets older, you’ll notice they can focus better and will often try to imitate your facial expressions as you make a face or move your mouth a certain way. A simple game of Monkey See, Monkey Do is so fun at this stage! Full-term babies are born with a keen sense of smell. They quickly and consistently recognize their mother’s scent. The ability to identify mom’s scent helps them with breastfeeding and is a source of comfort. Of course, diaper time introduces smells other than those associated with comfort! Keep a covered trash bin near the diaper area to discard soiled diapers and wipes. About half-way through pregnancy, your baby begins to detect sounds. Your little one can hear your beating heart and your voice. As they grow in the womb, your baby begins to recognize external sounds and may respond to music or other noises. After birth, you can incorporate rhyming games and music into your diapering routine. You’ll notice that as your baby continues to grow, they will attempt to mimic sounds by cooing and babbling. Making music together during diaper time is such fun! Sing your favorite songs to and expose baby to a wide variety of music depending on the time of day: Try silly songs during the day and softer lullabies at night. Have musically inclined family members? Consider recording them to play for your baby. Babies love routines and respond happily to fun diapering rituals you establish together. Born before 37 weeks, premature babies may need extra help relaxing and remaining calm during diapering. Get to know your baby’s likes and dislikes while he’s still in the hospital and in the early weeks of life so you can respond quickly to comfort him. Talk with baby’s nurses to learn their observations about what stimulates or calms your baby. As baby grows and develops, you should be able to more with them, such as holding, skin-to-skin care, rocking or nursing—look forward to these times while keeping your intention on engaging with baby in the present moment. Many babies try to self-console by sucking their fingers or thumbs, or bringing their hands to their mouths. NICU babies often use pacifiers to calm themselves. While in the hospital, you may have seen the nurses intentionally position your baby after a diaper change or swaddle him to help baby feel calm and content. Talk to your care provider about the best approach for this. Preemies respond especially well to skin-to-skin holding, as it activates their senses of smell, touch, and hearing and helps them feel comforted. As your baby matures he will learn skills to self-regulate or control their behavior, which is a gradual process that begins before birth and extends well into the school-age years. You can help your baby by modeling patience and love at every opportunity.